In an age of Instagram and Google Calendar, it may seem sufficient to document your life on social media and cement your plans on apps. That being said, there is still value in a paper-based approach. A bullet journal could help you make the most of your limited time while still enjoying the combined benefits of a planner and a journal. Keep reading to discover whether a bullet journal is the right option for you. You want to plan out both your short- and long-term future, but you dislike conventional planners. You're certainly not alone if you feel boxed-in by traditional approaches to planning your day. Bullet journals can keep you organized without making you feel constrained. You're free to sketch out your dreams, ambitions and current frustrations as you see fit, but you'll also enjoy the structure needed to make this process as efficient as possible. You love all things DIY. If you're obsessed with Pinterest and eager to take on an accessible new DIY project, you'll thrive in the newfound world of bullet journaling. Each completed page will grant you a sense of accomplishment. You've abandoned more journals and planners than you care to admit. Sometimes, it's just too difficult to maintain a planner. Not everybody is cut out for the constant use of highlighters and detail-oriented schedules. Perhaps you need a freer approach that still maintains some semblance of structure. 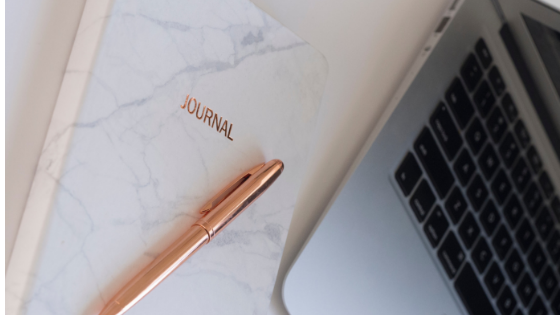 Likewise, if the openness of journaling leaves you with writer's block, you could benefit from the mild structure a bullet journal can provide. You'd like to take a break from the digital world. If it feels like you spend every moment of every day online, you're probably eager for a break. A bullet journal forces you to retreat from the digital sphere for at least a few minutes. Imagine returning home to your Springfield apartment and journaling instead of scrolling. What could be cozier? Bullet journaling could be your key to improving your productivity while also embracing your inner creativity. You'll never regret taking a break for reflection. The Residences at Springfield Station encourages you to live your best life. Contact us today to learn more about our amenities.